So what costs are involved if you are selling your home. First, let’s look at what your home is worth in today’s Real Estate Market. You can find out what your home is worth right here. You might ask yourself if you have enough equity in your home. Contact me today and I will be happy to help you find out how much equity you have in your home. You can call me at 571-446-0002. 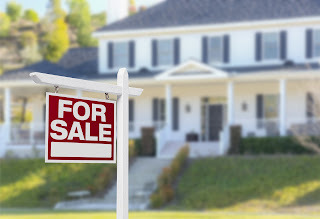 When you are selling a home there are different charges involved when selling a home here is a list of the most common fees when you are selling your Woodbridge VA area home. This is simply an estimate and should in no way reflect the actual cost. In the Woodbridge area, Settlement fees are anywhere from $200 to $500 depending on settlement company used. In Virginia, the buyer can choose the settlement company. The seller can use the same company or do a split settlement, meaning the seller can use their own settlement company. Unfortunately, there is no way to getting around taxes. The grantors-taxes are relatively inexpensive. $1.00 per $1000.- of sales price. This is a relatively new fee and anyone selling in Northern Virgina has to pay this fee. The fee is going to help pay for traffic projects in Northern Virginia. With some loan programs, the seller is required to pay for the pest inspection. With all contracts, if there are termites found the seller is required to paying for the actual termite treatment. The termite inspection normally cost anywhere from $ 35.- to $ 55.- A termite treatment ranges from $200.- to $600.- depending on the treatment required. If your home is located in an HOA and or Condo Association the seller is responsible to providing the buyers with updated HOA and Condo Documents. The cost for these documents normally ranges anywhere from $150.- to 250.- per association. If you are selling your home with a home inspection contingency there might be certain repair cost you have to pay. You can pay it upfront or at closing if the contractor will allow you to pay it with proceeds from closing. 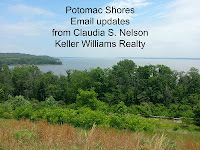 In the Woodbridge VA area sales commission vary depending on experience, locations and company. The Realtor® Fee includes the marketing of your home. I have an extensive marketing plan and an even more extensive online marketing plan. When listing with a Real Estate Agent your home will get featured on all of the most popular Real Estate Websites and some agents will go a step further. In Virgina typically the seller pays both of the commission the one to the selling agent and the commission to the buyer’s agent if there is one involved. The total commission generally is around 6 %. Commission depend on agent and company and are variable. Having said that, you should never choose an agent based on the commission. Work with an agent that has a proven track record and can generate lots of buyers, which in turns bring you multiple offers. Depending on the negotiation and the market sellers can agree to pay some or all of the buyers closing cost. Chances are that in a sellers market, you do not have to pay closing cost but it will be a difference in a buyers market. Also, it really depends on how long your home has been on the markte. It is very important that you are working with an agent that knows the local market and can guide you in this process. 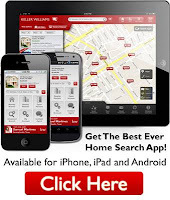 I am a local Real Estate Agent with Keller Williams Realty in Woodbridge VA, focusing on helping Woodbridge VA Home Sellers and Home Buyers. I am an award-winning Woodbridge VA Real Estate Agent and the top producing agent for Keller Williams Realty in Woodbridge VA. If you are thinking about buying or selling you should call me today at 571-446-0002.